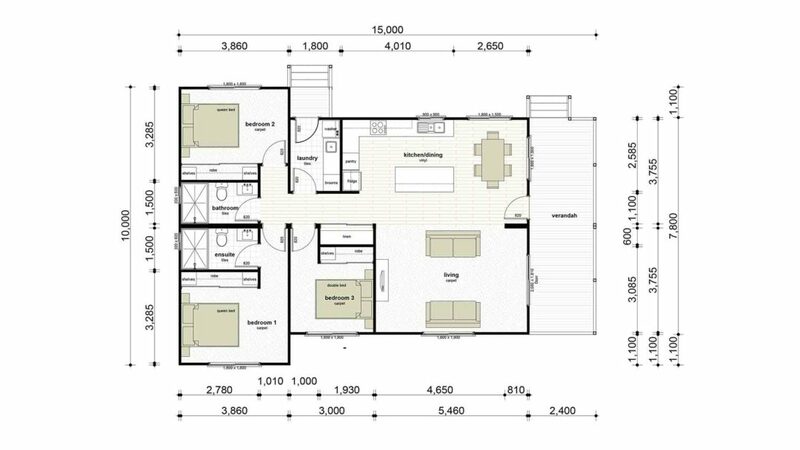 A large 3 bedroom plan with both the dining and living opening onto the verandah. All bedrooms have built in robes. Get a detailed view of the Soudan floorplan. The Sattler has two distinct sections, bedrooms in one section and the living, dining and kitchen in the other. Large master bedroom with ensuite and walk in robe and a great verandah to relax on. Looking for something with a bit of flair, then this is for you. The Seaton offers you just that along with 3 bedrooms, 2 bathrooms and a large living area.